Monday to Thursday: 11 a.m. to 8 p.m.
$3.50 Per Game/11 a.m. to 5 p.m. $4.5o per game/5 to 8 p.m.
$2.50 Per Game/11 am. to 5 p.m. $3.50 per game/5 to 8 p.m. 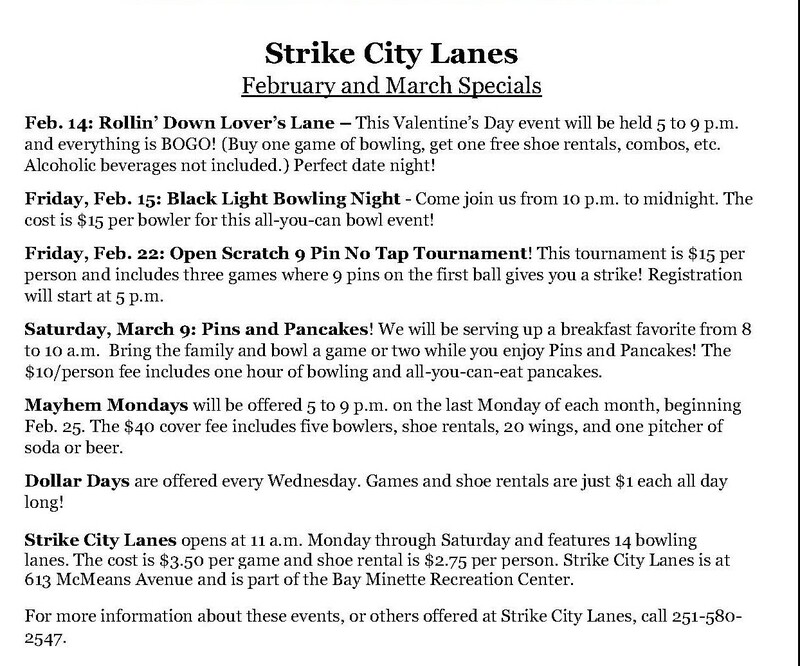 These rates are available to anyone who bowls in a league at Strike City Lanes. Family Rates are for groups of people bowling together. Prices include shoe rental. Tax not included. 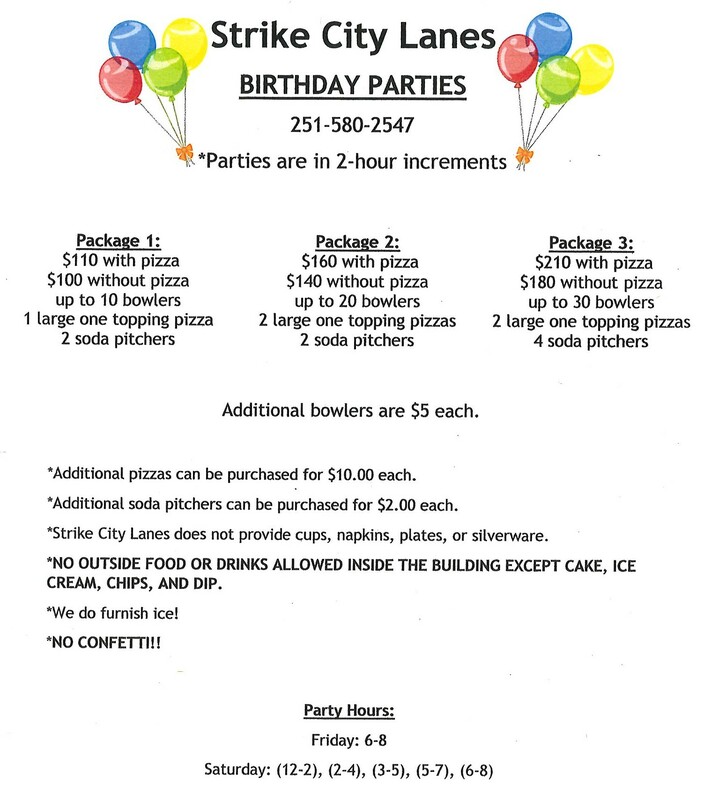 Party reservations are available in 2-hour increments and reservations can be made by calling 251-580-2547. Fridays: 6 to 8 p.m.
Saturdays: Noon to 2 p.m.; 2 to 4 p.m.; 3-5 p.m.; 5 to 7 p.m. and 6 to 8 p.m.
No outside food or drinks allowed inside the building, with the exception of birthday cake, ice cream, chips and dip. 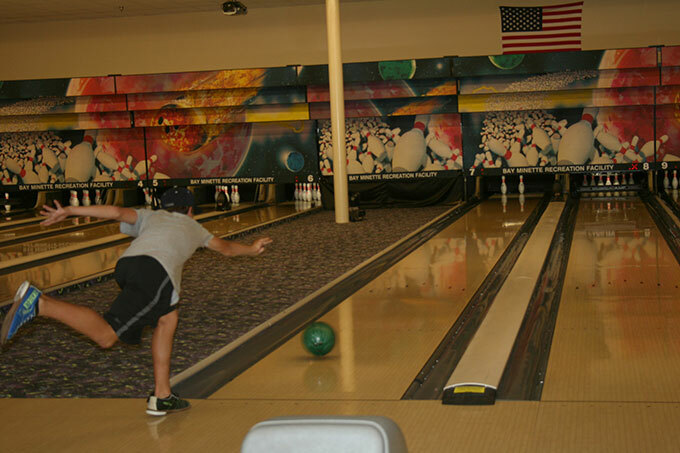 Strike City Lanes does NOT provide cups, napkins, plates or silverware. Additional bowlers are $5 each. 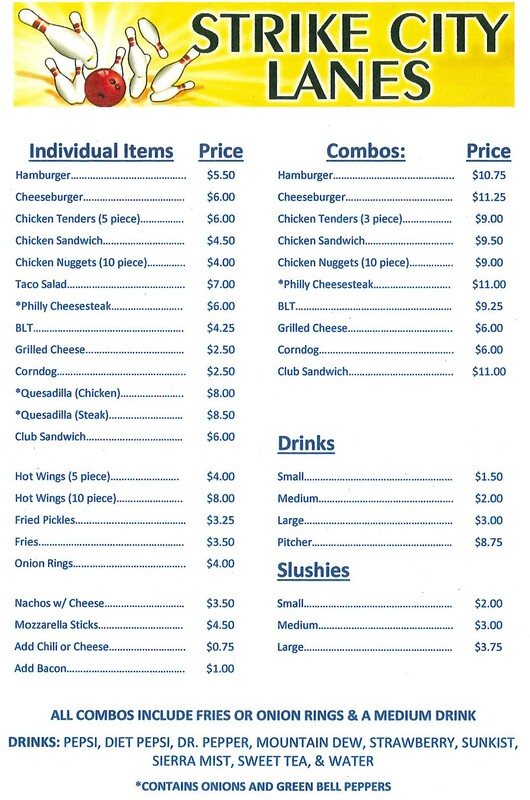 You may also purchase additional pizzas for $10 each and additional soda pitchers for $2.